It didn’t take much searching on the internet to determine that this must be the larva of a wasp in the family Dryinidae. There are plenty of images of larvae on BugGuide. 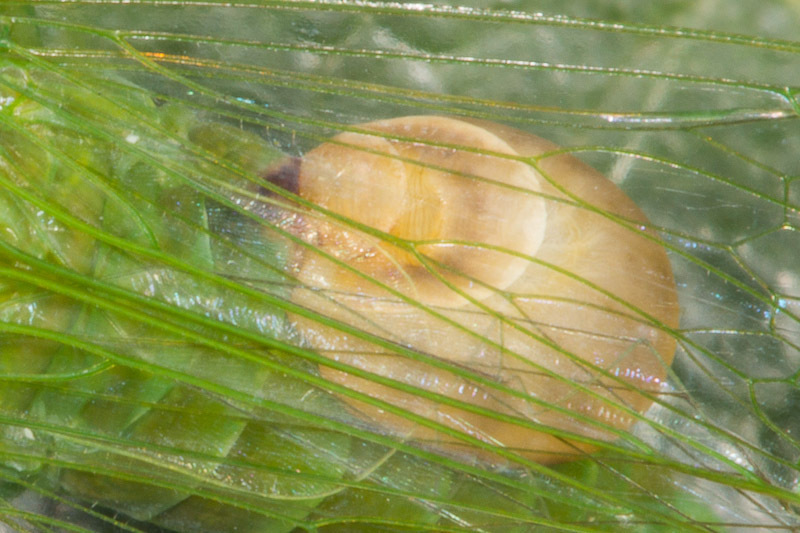 According to Wikipedia, a larva initially feeds internally on the host. Only later in its development does it protrude the host as shown here. I feel lucky to have seen this. As is usually the case, this just whets my appetite for more. Now I’ll be on the lookout for the odd looking adult. Still waiting to be lucky enough to encounter one of these. 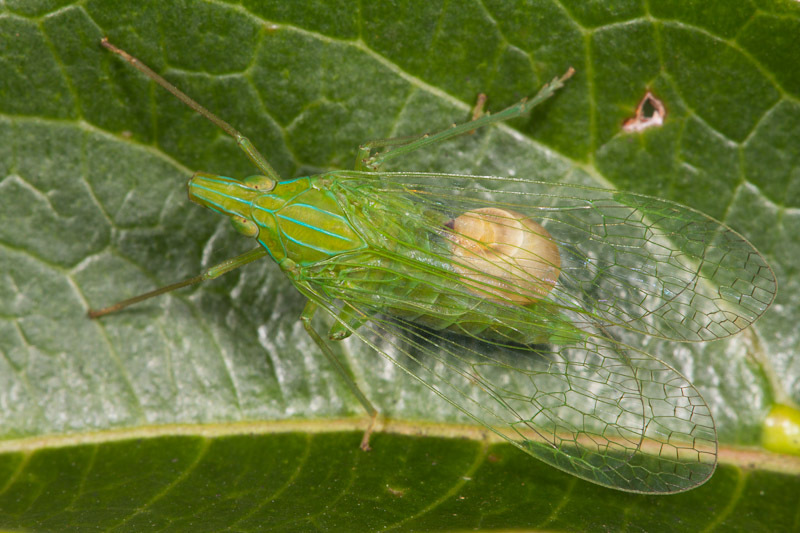 It’s a shame the planthopper got away – would’ve been nice to rear out the awesome adult.